Captivating home is stunning example of luxurious living inside and out. Beautifully designed home offers 6,284sf of fabulously finished living space! You'll find an uncompromised level of attention to design, fit and finish at every turn. 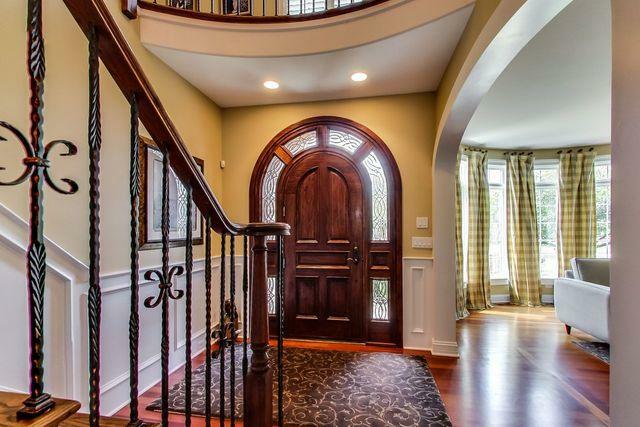 Pristine hardwood floors, extensive moldings, 3 fireplaces & custom built-ins. Formal spaces include an elegant Living Room and entertainment-sized Dining Room. 5 generous bedrooms, all on the 2nd floor, with beautifully appointed baths connecting to each room. Stunning gourmet kitchen is highlighted by custom cabinetry and huge center island. Commercial grade appliances include a 48" Wolf range. Outstanding finished basement adds to the functional living space. Grounds are perfectly landscaped with paver patio, firepit and built-in outdoor grill, generator too! Paver walkways, driveway and maintenance free fenced yard complete the grounds. Ideally located steps to the Prairie Path and sought-after Lincoln Elementary...this is the place to call home!